Having the opportunity to grow up exploring Albemarle County from the back of a horse, instilled in Pam Dent a love of the Virginia Countryside. Whether you are looking for a home in a neighborhood or a Central Virginia farm, you were probably drawn to the area because of the natural beauty of the foothills of the Blue Ridge Mountains. A career in real estate has allowed Pam the opportunity to share her love of this special part of the country. After growing up in Charlottesville, Pam went to college in Ohio and pursued a degree in Fine Arts, but at graduation she returned to the countryside that she loved where she raised two daughters and trained and sold horses. In 2006 Pam decided that it was time to turn over the reins of her horse business to her daughter and decided to pursue a career in real estate. Not being one to do things halfway, Pam immersed herself in real estate and quickly developed a very successful real estate business. Pam’s in depth local knowledge and love of the Virginia countryside make her the perfect choice to assist you in either the purchase or sale of a Central Virginia property. She is particularly knowledgeable in working with the equestrian buyer or seller, since she has first had experience with all of the specialized aspects of equestrian properties. Since leaving the horse business, Pam has taken up the endlessly fascinating game of golf and a focus on golf communities and golf course homes has naturally followed. Pam is also knowledgeable in new construction and has helped navigate many clients through the purchase of a new home. Being a lifelong learner is part of Pam’s personality and pursuing additional education to better assist with the purchase of your new home or sale of your existing home follows naturally. Pam has attained the following designations which allow her to better serve you in your real estate transaction. e-Pro – This is the premier internet marketing designation and as we know over 90% of buyers begin their search on the internet. If you are selling a home it is key to have an agent who has a significant internet presence. Green, Earth Advantage Broker – both of these designations required extensive training in green and energy efficient building practices. SRES – Seniors Real Estate Specialist – Much of our population is turning “50 and better” and is going through a variety of housing and life transitions. Pam has the knowledge and training to assist, whether it is to sell your existing home and downsize or find a home in a 55+ community. Part of being part of a community involves giving back, and Pam actively participates in local activities. She is very involved with the fundraiser for AHIP, which provides much needed repairs enabling people to remain in their homes. Pam also serves on the board of the Charlottesville Area Association of Realtors and is a past president of the Blue Ridge Chapter of the Womens Council of Realtors. 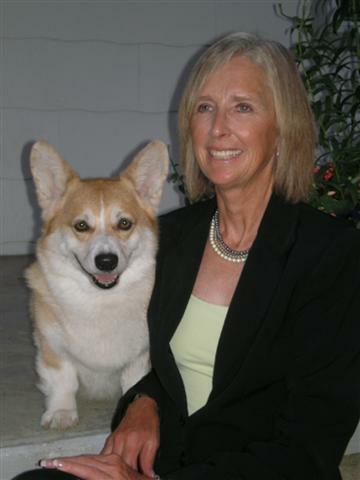 In addition she is on the boards of the Central Virginia Chapter of the American Marketing Association and the Charlottesville Albemarle Kennel Club. Return to the beginning of this page.